Home › Ergonomics › Which Ergonomic Product Fits All Workers Regardless of Height, Stature, or Shape? Quality ergonomic anti-fatigue matting is designed to ease the physical impact of standing tasks. These mats improve the health of standing workers by stimulating lower body blood circulation helping to prevent leg cramps, back discomfort, and overall early day fatigue. Choosing the best ergonomic relief to workers, both short and long term, reduces employee absenteeism and sickness, reduces employee costs, increases productivity and increases earnings. 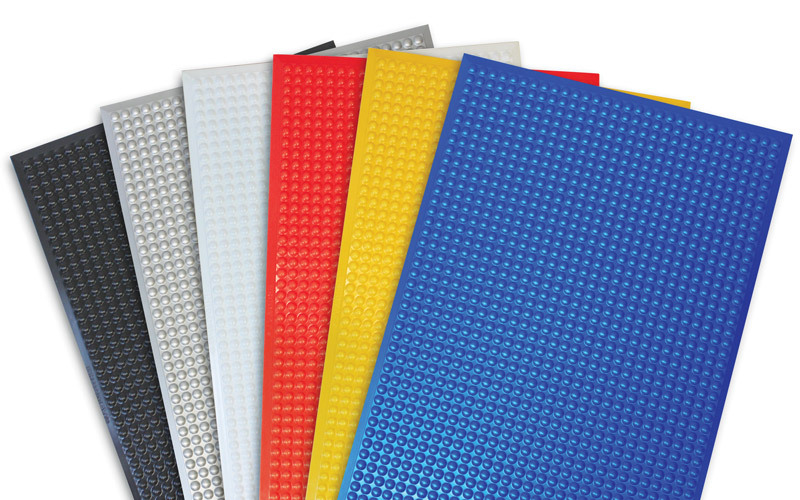 Make sure the anti-fatigue mats that you choose have a reputable warranty (3-8 years) and that they are made of only the most quality materials (ie: Wet/Chemical Mats – 100% non-porous Nitril rubber, Dry/Retail Mats – 100% Polyurethane). Resilience to wear and tear will also help employers replacements costs. Keep in mind there are many kinds of anti-fatigue matting with different properties to match your needs. Be sure to take a look at all of the options so you can determine what makes the most sense for your particular application(s). Some of the many Anti-Fatigue Mat characteristics available include: Cleanroom, Anti-Static (ESD), Fire Retardant, Chemical Resistant, Anti-Slip, Cold Insulated, Auto-Clavable, and Shock-Absorbent for dry or wet environments. Using the same kind of anti-fatigue mat across all applications will not serve you in the long run. What works best in one area may not work very well in another, and will end up costing you more by having to replace the damaged mats that were either not high enough quality or not made of the appropriate materials for your application. Anti-Fatigue Mats are available in many standard sizes but are also available in customized widths, lengths and shapes to match the exact dimensions of a work area. Consider purchasing a one solid-piece mat to prevent tripping hazards. Safety! Safety! Safety! Look for anti-fatigue mats that have beveled edges on all sides and that the edges are made of the same material as the rest of the mat. This prevents anti-fatigue mats from swelling, shrinking or curling and always remain flat against the ground once again eliminating trip hazards. You will thank yourself and so will your employees. 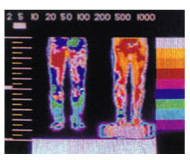 This thermal photograph compares circulation in the lower body of a standing worker. The image on the right shows the worker standing on an ERGOMAT anti-fatigue mat. stimulated muscle activity and hence circulation in the legs and feet. The image on the left shows circulation patterns without standing on the ERGOMAT. a reliable predictor of fatigue and muscle disorders. Discuss your application characteristics and the above qualities with your Facilities Manager, Safety Manager, or Ergonomics Evaluator so they can help you select the best anti-fatigue mat that is most appropriate for your needs. If you or anyone from your company needs any additional help, our Ergonomic Consultants are trained to understand the diversity of work environments and to help select which anti-fatigue mats will provide you with the best improvement in fatigue reduction while providing the best long term value. If you are interested in scheduling a no obligation anti-fatigue mat trial evaluation contact us below. ‹ Experiencing Discomfort at Work?